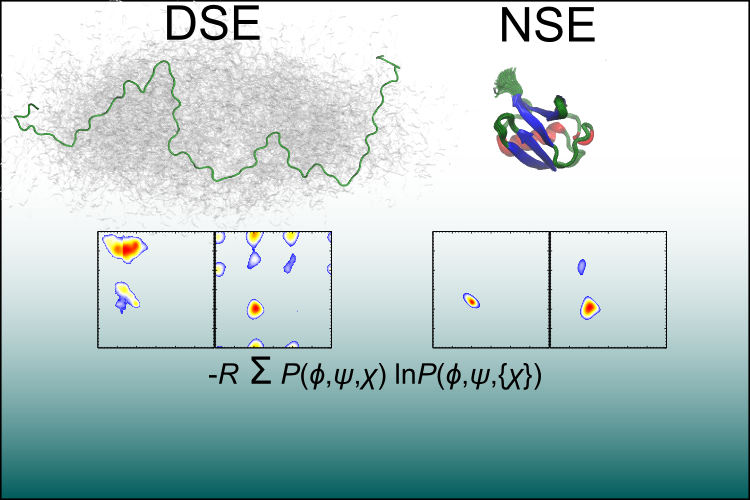 Given small angle X-ray scattering (SAXS) dataset for an intrinsically disordered protein (IDP), we have developed an analysis method that can determine both the dimension of the ensemble as well as the quality of the solvent (i.e. the extent of self-interactions in the IDP). 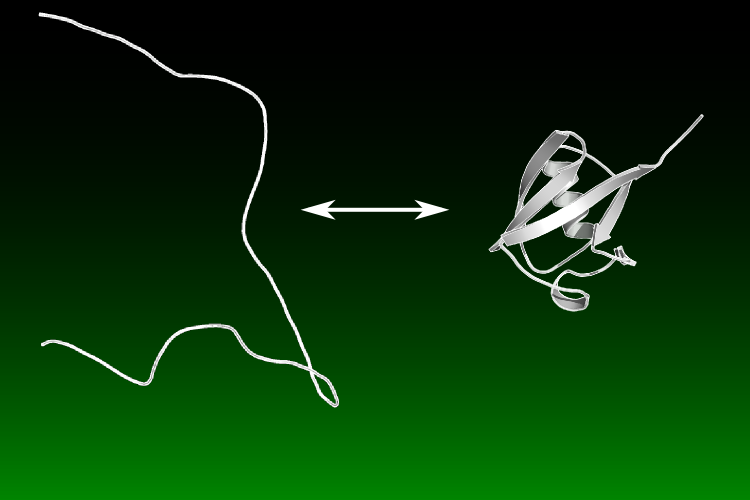 We have found that for many small 2-state proteins, the rate-limiting step of folding - the transition state - has ~70% of the native topology, according to the relative contact order. 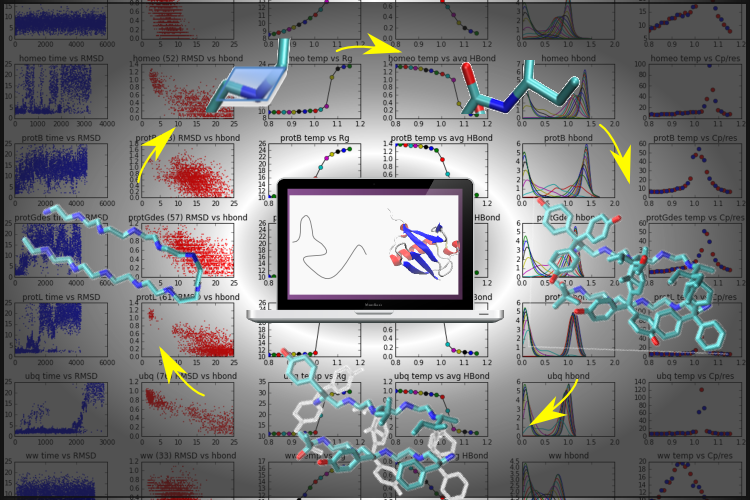 Molecular Dynamics on your laptop! Wouldn't it be nice to have physically realistic MD trajectories of protein dynamics without needing cpu-weeks/months of simulations? We have developed an MD engine that can reversibly fold some proteins up to 97 amino acids in cpu-days without requiring the use of fragments, homology or evolution. J.P. Zayner, T. Mathes, T.R. Sosnick, J.T.M. 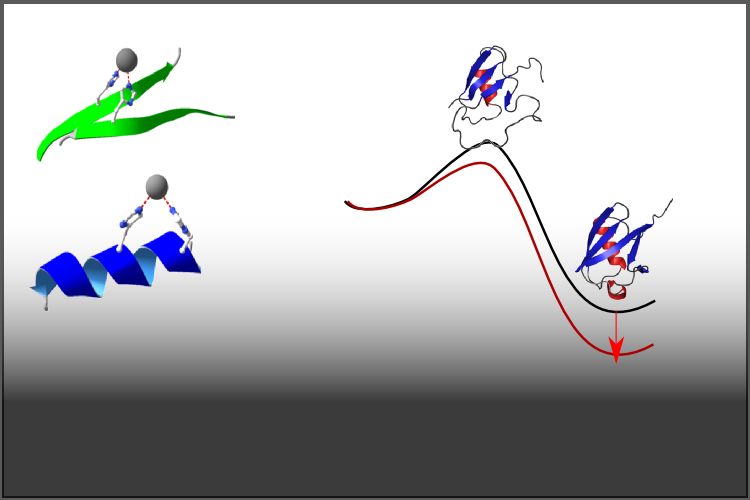 Kennis, "Helical Contributions Mediate Light-Activated Conformational Change in the LOV2 Domain of Avena sativa Phototropin 1" ACS Omega 2019, 4(1) 1238-43. Z. Wang, J.M. Jumper, S. Wang, K.F. Freed, T.R. 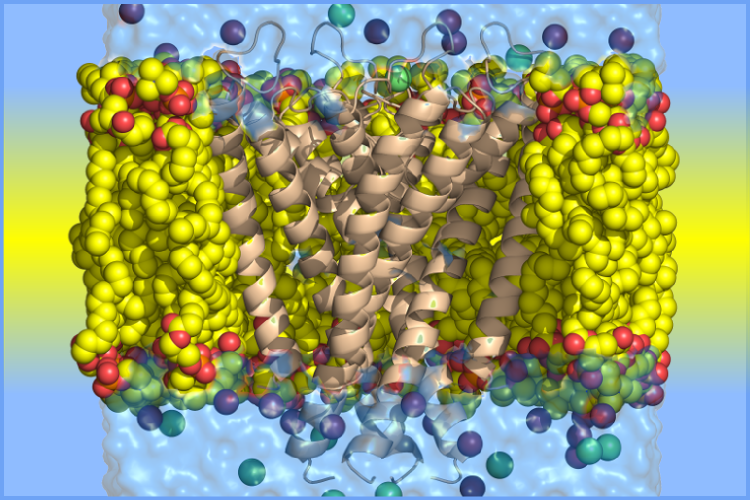 Sosnick, "A Membrane Burial Potential with H-Bonds and Applications to Curved Membranes and Fast Simulations." Biophysical Journal, 115 (2018) 1872-84. J.R. Riback, M.A. 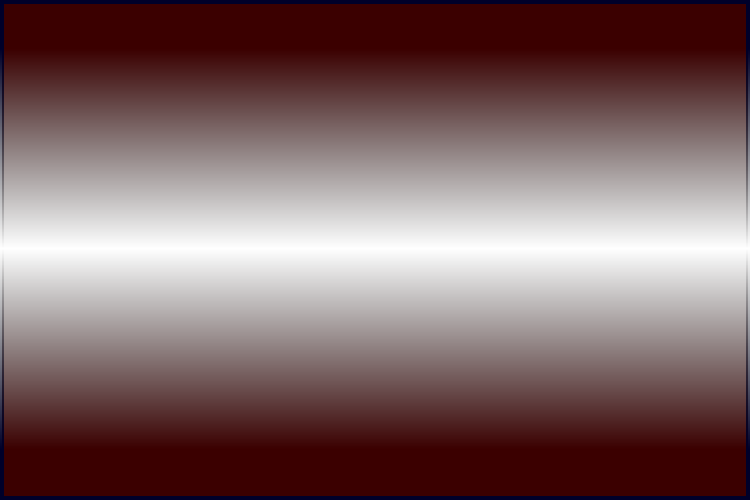 Bowman, A.M. Zmyslowski, C.R. Knoverek, J.M. Jumper, E.B. Haye, K.F. Freed, P.L. Clark, T.R. Sosnick, "Response to Comment on 'Innovative scattering analysis shows hydrophobic disordered proteins are expanded in water'" Science 361 (2018).